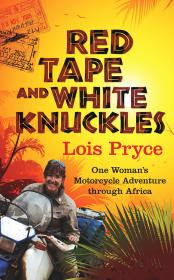 Red Tape and White Knuckles is an inspiring chronicle of Lois Pryce's motorcycle adventure through Africa, which was in turns lonely, beautiful, difficult and downright dangerous. 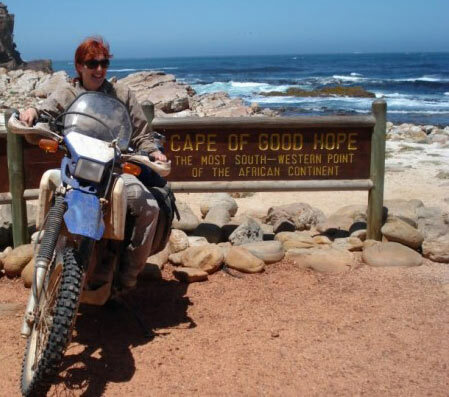 From her London departure to her Cape of Good Hope "finish line" 10,000 miles later, Lois overcomes many natural, logistical, cultural and political challenges with a combination of insight, positive spirit, and faith in humanity, always with an undercurrent of the famed wry British wit and humor. Lois' writing is conversational, accessible and engaging with vivid descriptions of the many places and characters she encounters. I enjoyed that while she can be self-effacing, she also doesn't pull her punches in critiquing others (something lacking in the typical "all is rosy despite" travelogue.) As we're inundated nowadays with celebrity motorcycle "Which Way 'Round" stories in print and on film, it's refreshing that Ms. Pryce doesn't play to her considerable fame among big-time motorcycle adventurer fans, instead choosing to travel in a bare-bones, un-supported manner, upon a small dual-sport bike neither sporting a certain spinning-propeller roundel, nor festooned in sponsor banners. 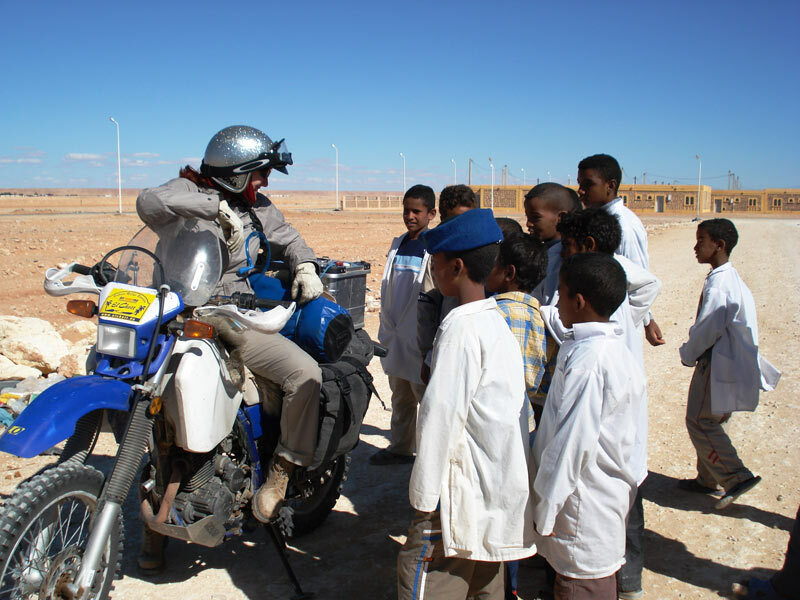 As a woman travelling alone through war-torn and Islam-dominated countries, Lois' account necessarily touches upon "heavy" themes such as gender, paternalism and religion, but Red Tape remains a light read without the overarching social commentary of say, Ted Simon's classic Jupiter's Travels (not that either approach is "better," just different) and therefore, coupled with the dearth of detailed technical information of interest only to die-hard motorcycle adventure-touring types, I believe this book has broad appeal, to include folks who have no interest in motorcycles whatsoever. Personally, I was left wanting for a bit more introspection, and most of all: photographs! 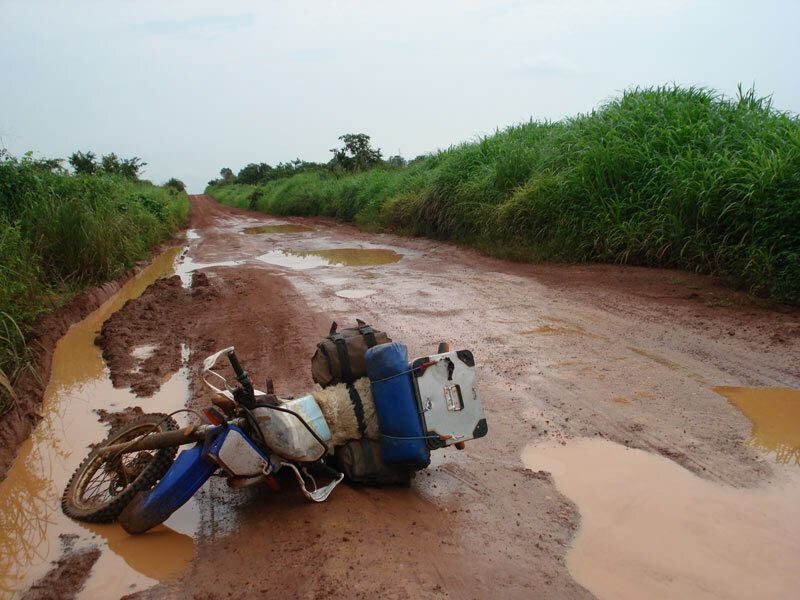 But like the best of motorcycle adventure chronicles, such as the aforementioned Jupiter's Travels and Helge Pedersen's Ten Years on Two Wheels, by the end of Red Tape and White Knuckles, the reader is likely to be inspired to set out on one's own adventure, or at least to be a little more adventurous in life's daily pursuits, which to my way of thinking is high praise.